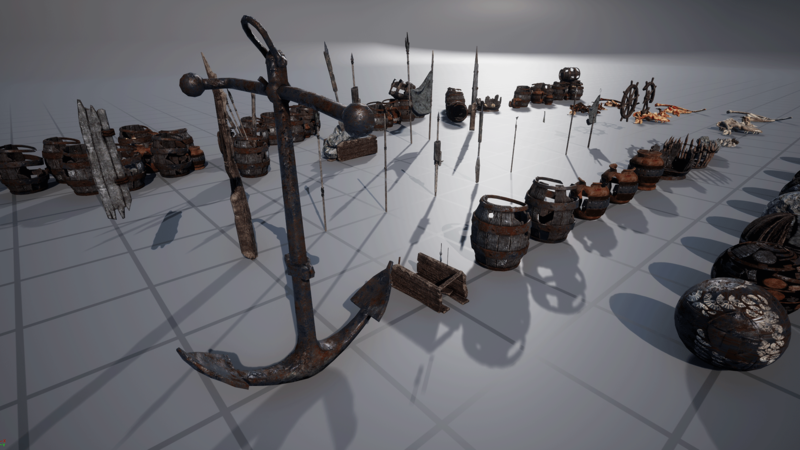 These game-ready props include custom collision and LODs for optimized, in-game performance. 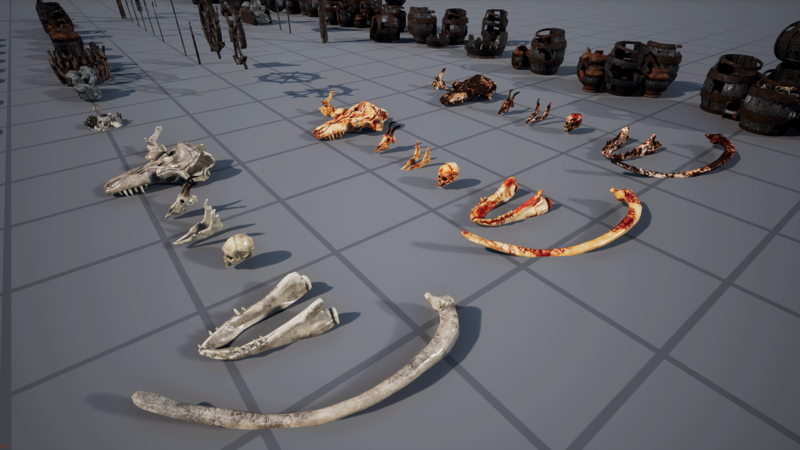 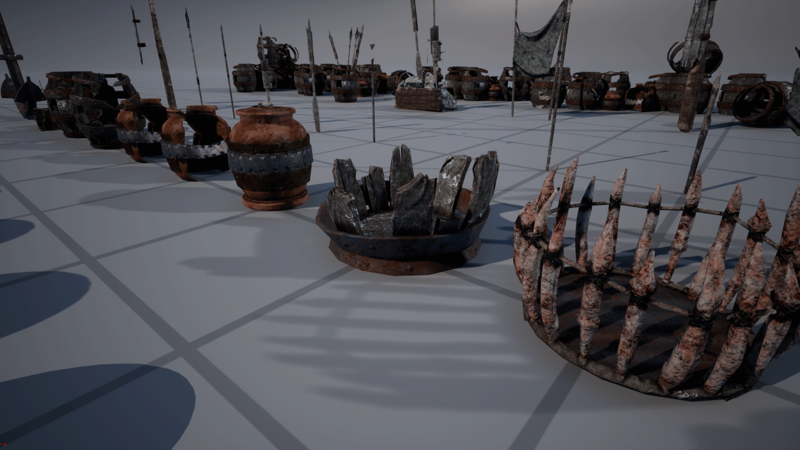 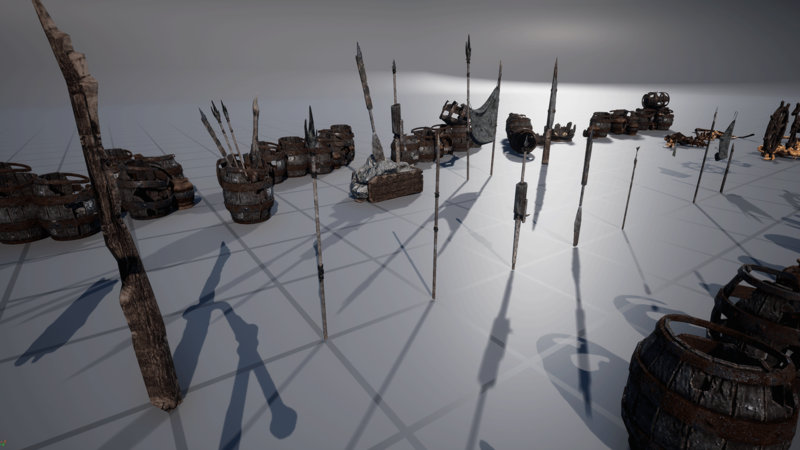 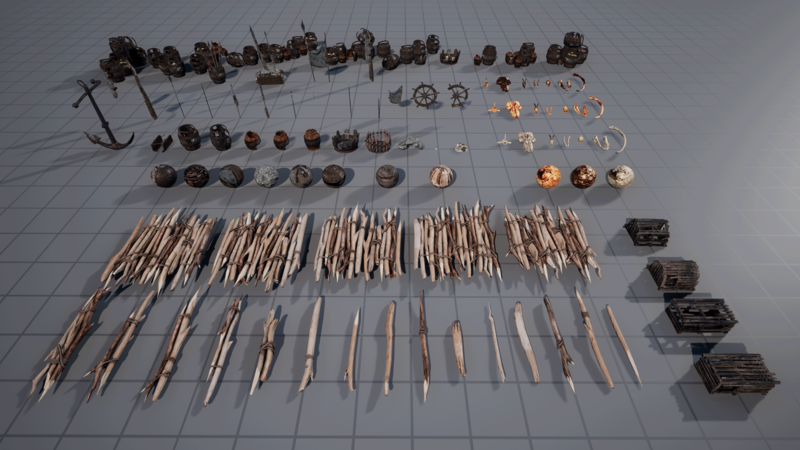 This pack includes barrels, crates, lobster traps, stick walls/platforms, normal/bloody/tarred bones, and spears/pole sticks. 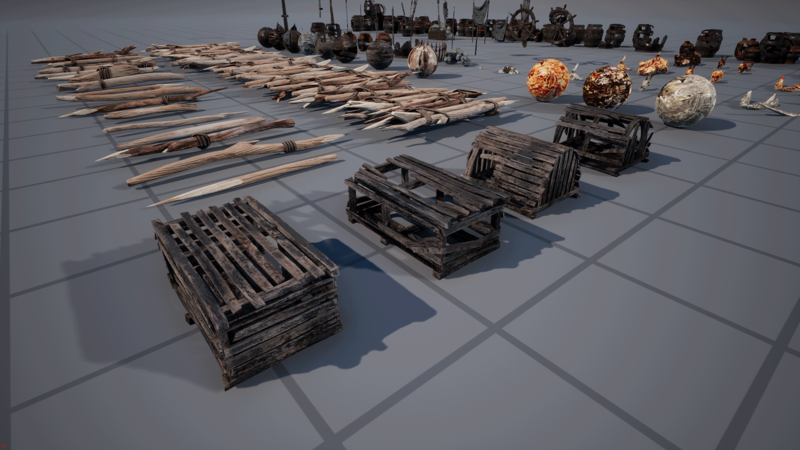 This pack also includes a master material for easy customization of each material instance.